Digital Logic - Build circuits that work the same way real world computer chips do. 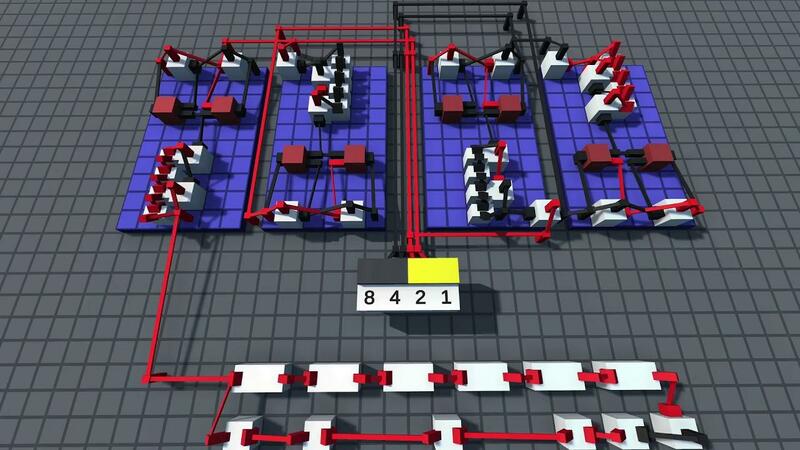 Challenges - Solve puzzles from simple logic gates to complex machines like calculators and data storage. Multiplayer - Logic World is built from the ground up for collaborative multiplayer. Take on Challenges with your friends or build together freely in Sandbox mode. Performance - Build massive circuits and simulate them at thousands of updates per second - all without lag. Modding - Logic World features powerful modding tools - the same tools the developers are using to make the game. Online Hub - Players can upload their builds, mods, and custom challenges and share them with other players. I'm very interested in this one, especially when I played with TUNG before and made something really dumb with it. Really happy to see Mouse Hat Games supporting Linux with the expanded Logic World, I can't wait to see what insane creations people make with it. For those worried it will force online features on you, fear not as they said all online features are opt-in and there will be no DRM. You can now wishlist and follow it on Steam, itch.io and Game Jolt. TUNG was fun stuff. If only I had more time! It was in need of a few quality of life improvements though. But it may have gotten those already. It would be nice if they added a "campaign" with some puzzles to get you started. It looks like the "challenges" may be that thing. Wishlisted. Ehvis It was in need of a few quality of life improvements though. But it may have gotten those already.